A few bits of infrastructure have appeared over the weekend, but today was the first full day of setup. The festival site volunteers had an early start, and our site suppliers have had a good day. 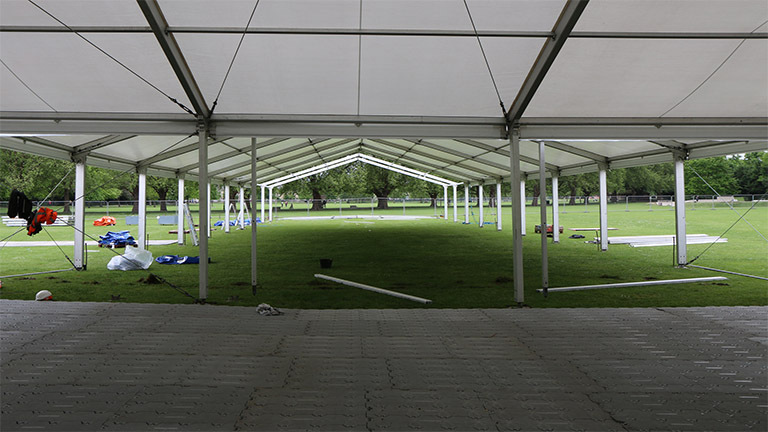 The two main marquees are up, and more marquees are going up as I write. The site will be ready for when the beer starts arriving in a couple of days.